Find all our American cheese recipes listed in this section. So read them and stir up your cooking skills and learn how to American cheese. Olive Cheese Melts are scrumptious and mouth-watering snacks. Learn how to make/prepare Olive Cheese Melts by following this easy recipe. Garlic pepper Blue Cheese Burger is a tasty and filling recipe. Learn how to make/prepare Garlic pepper Blue Cheese Burger by following this easy recipe. 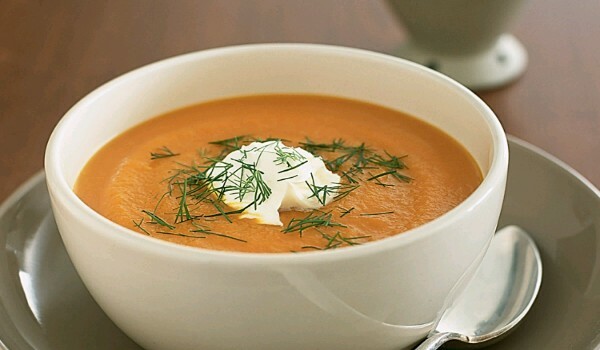 Carrot Cheese Soup is easy to prepare and tasty as well. Learn how to make/prepare Carrot Cheese Soup by following this easy recipe. Fruit And Cheese Salad is a healthy and cool recipe. Learn how to make/prepare Fruit And Cheese Salad by following this easy recipe. Oyster Macaroni and Cheese is an out-of-the-way pasta delicacy. Learn how to make/prepare Oyster Macaroni and Cheese by following this easy recipe. Cole Slaw With Cottage Cheese is an irresistible scrumptious salad. Learn how to make/prepare Cole Slaw With Cottage Cheese by following this easy recipe. 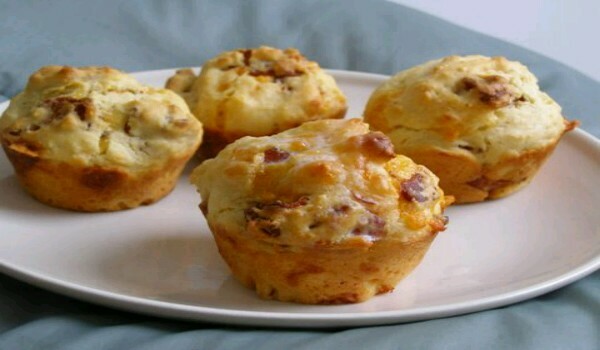 Bacon Cheese Muffins is a very popular recipe. Learn how to make/prepare Bacon Cheese Muffins by following this easy recipe. 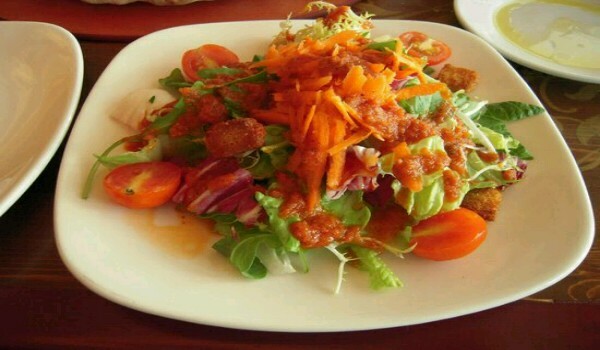 Caramelized Tomato Salad With Cheese is a very tasteful recipe. Learn how to make/prepare Caramelized Tomato Salad With Cheese by following this easy recipe. Treat your guests with these delicious and mouth-watering Cream Cheese Brownies. Learn how to make/prepare Cream Cheese Brownies by following this easy recipe. Potato-Cheese Casserole is a scrumptious side dish recipe. Learn how to make/prepare Potato- Cheese Casserole by following this easy recipe. Ham and Cheese Quiche is a lip-smacking brunch recipe. Learn how to make/prepare Ham & Cheese Quiche by following this easy recipe. Pineapple Cheese Ball is a very delicious recipe. 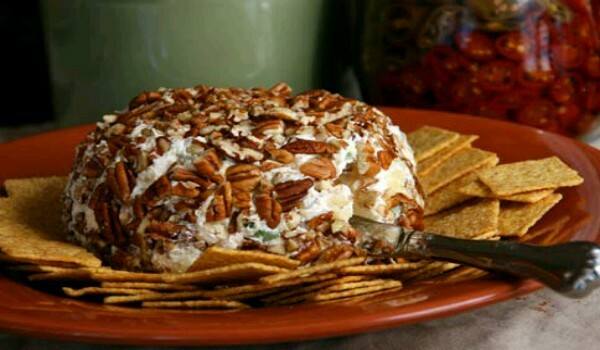 Learn how to make/prepare Pineapple Cheese Ball by following this easy recipe. No Bake Cheese Cake is an excellent, no-bake variant of the famous cheese cake. Learn how to make/prepare No Bake Cheese Cake by following this easy recipe. Pork Chops With Blue Cheese Gravy comes with a rich creamy gravy. 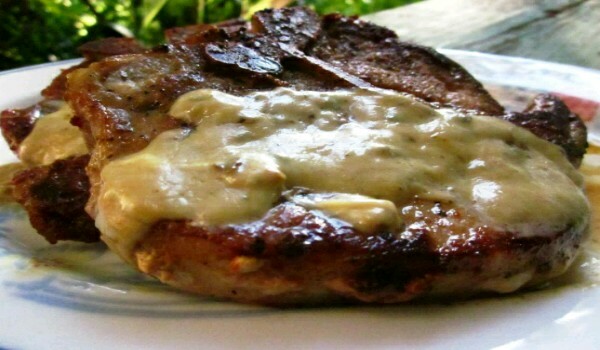 Learn how to make/prepare Pork Chops With Blue Cheese Gravy by following this easy recipe. Grilled Goat Cheese Salad is a mouth-watering cheese salad tossed in wine dressing. Learn how to make/prepare Grilled Goat Cheese Salad by following this easy recipe. Figs Oozing with Goat Cheese is a very delicious recipe. Learn how to make/prepare Figs Oozing with Goat Cheese by following this easy recipe. Cream Cheese Spread is a very popular recipe. Learn how to make/prepare Cream Cheese Spread by following this easy recipe.